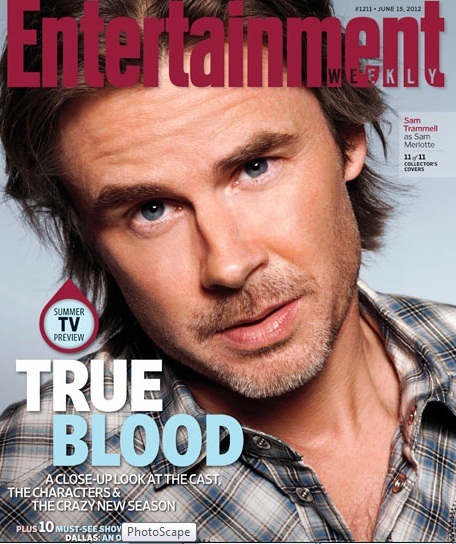 EW Cover. . Wallpaper and background images in the True Blood club tagged: true blood cast magazine season 5. This True Blood photo contains anime, bande dessinée, manga, dessin animé, portrait, headshot, gros plan, and closeup. There might also be fedora, chapeau de feutre, homburg, stetson, trilby, hombourg, chapeau de feutre trilby, journal, papier, magazine, tabloïd, chiffon, livre, porkpie, porkpie chapeau, chapeau porkpie, feutre, and chapeau de feutre.